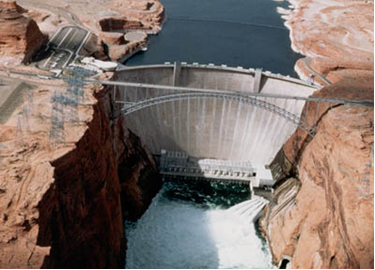 The Colorado River Commission of Nevada (CRCNV) is responsible for managing and protecting Nevada's allocation of hydroelectric power generated and marketed by the federal government. 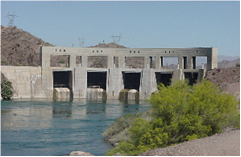 Nevada's allocation of hydroelectric power from the Boulder Canyon Project (Hoover Dam), Parker- Davis Project, and the Salt Lake City Area Integrated Projects is purchased by the CRCNV and delivered to its wholesale utility contractors, full requirements contractors at the Black Mountain Industrial Complex, and various end-users including state and local governmental entities and educational institutions. A complete listing of CRCNV contractors and their associated hydropower allocations can be found here. 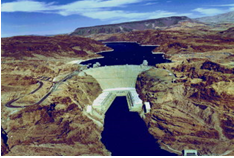 In the 1980's, the CRCNV was instrumental in the development of an "Implementation Agreement" and a "Ten-Year Plan" procedure for Hoover Dam resulting in a partnership between federal agencies and Hoover contractors to establish annual reviews of operational plans and budgets for the project. CRCNV participated actively in the negotiation of an agreement with federal agencies to advance fund the operation, maintenance and replacement costs of the Parker-Davis Project generation facilities. This arrangement formally established a funding board through which CRCNV and the other project customers annually review and approve project operational plans, budgets and funding. More recently, the CRCNV negotiated new 50-year contracts for long-term hydropower from Hoover Dam that became effective for power delivery beginning October 1, 2017 through September 30, 2067. Additionally, the CRCNV is in the process of negotiating a new 40-year contract for long-term hydropower from the Salt Lake City Area Integrated Projects, and anticipates beginning Parker-Davis Project contract negotiations within the next few years. The current Salt Lake City Area Integrated Projects contract expires in 2024, and the Parker-Davis Project contract expires in 2028. The CRCNV is committed to ensuring continued long-term delivery of these vital, reliable, clean and inexpensive sources of energy to southern Nevada.